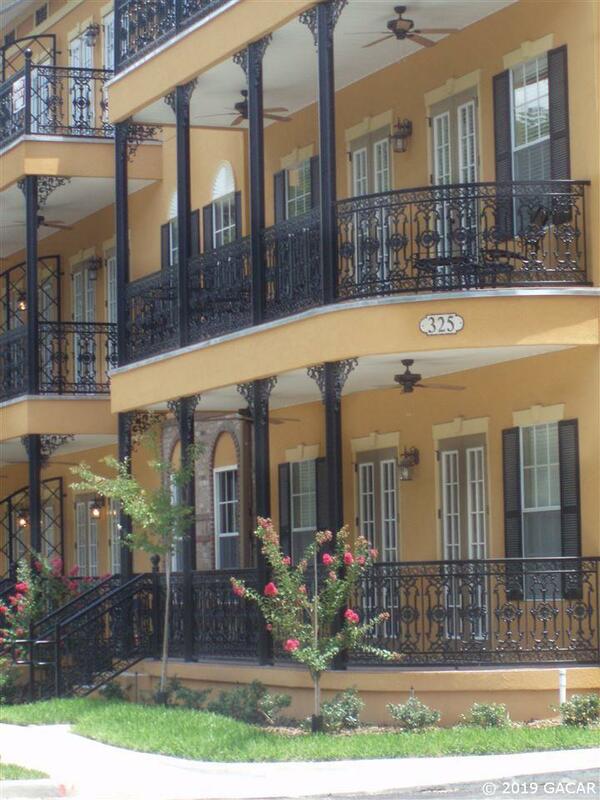 Jump on this opportunity to own a New Orleans style corner unit in Jackson Square Condominiums, College Park's most luxurious condos. 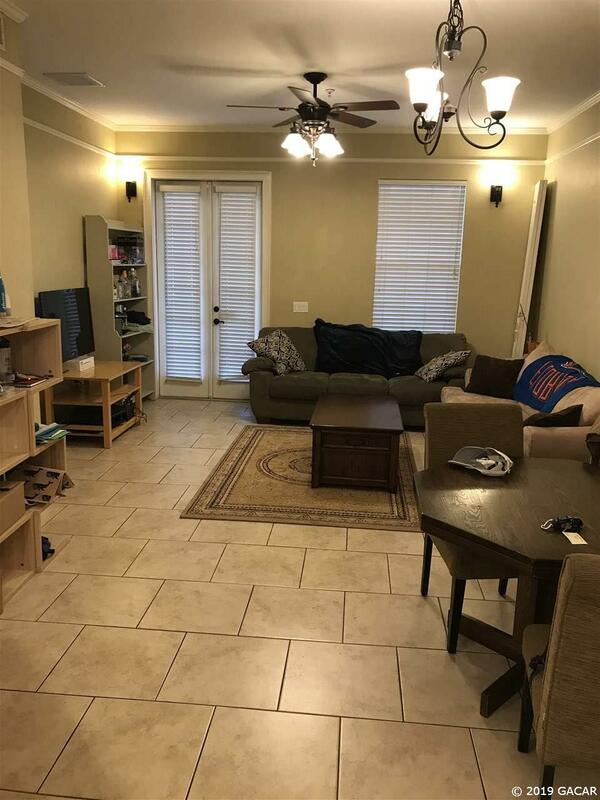 Located just 1 block from Target and Publix, 3 blocks from the University of Florida, and just a short walk to the best that Midtown has to offer, this condo is right where you want to be. Jackson Square combines the best construction techniques with high-quality and high-style finishes. 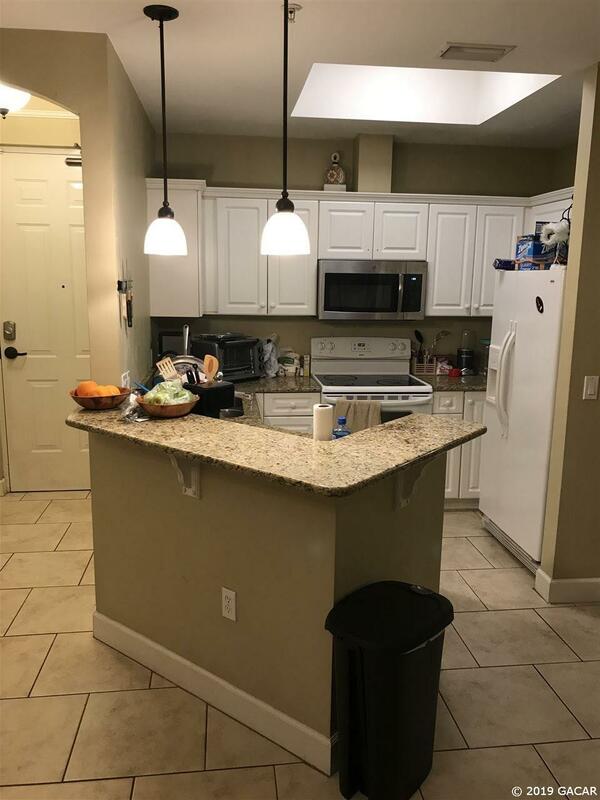 Every condo in the building features 10' high ceilings, 8' doors, crown & picture molding, granite countertops, undermount sinks, tiled showers, and a full appliance package including a washer, dryer, dishwasher, side-by-side fridge with ice and water in the door, microwave, and garbage disposal. This particular condominium is a 1st floor corner unit with a 30-foot-wide covered porch that includes its own stoop to NW 14th ST. This porch is accessible through beautiful 8ft tall French doors in the living room and master bedroom as well. 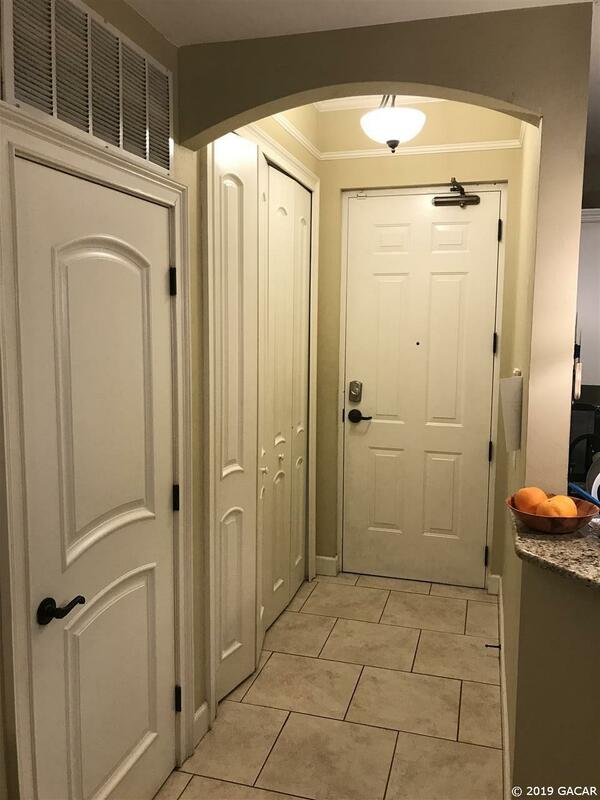 This condo is rented through May 8, 2019. Until that time, please allow at least 24-hours notice and contact listing agent for the lock box combination. Listing provided courtesy of Alligator Realty Inc..